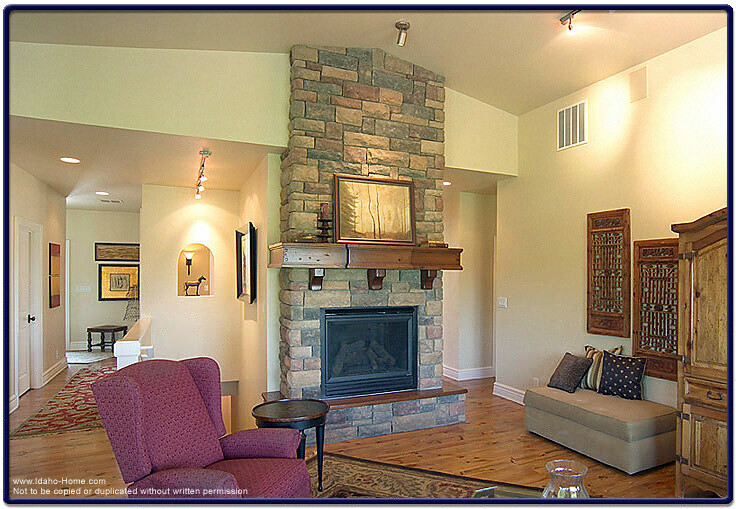 The image below, is a large view of a brick fireplace in the family room. This particular design can also look great in a den or living room. The unit is composed of precast stone, and the mantle shelf is composed of alder wood. With the hardwood floors and and a beautifully designed oriental carpet, this unit can be an added aesthetic decor to your all ready lovely home.